The 25th annual University of Toronto National Biology Competition will be held at participating schools on Thursday, April 25, 2019. The aim of the competition is to provide all high school students with an opportunity to test their knowledge and understanding of biology. We encourage participation of younger students, especially those in Grade 11. The Top 5% of students in Canadian schools will receive certificates designating them as National Biology Scholars; the Top 1% as National Biology Scholars with Distinction. Cash prizes will be awarded to the Top 1%. Admission scholarships, valued at $3,000, will be awarded to the top 15 students (of all participants) in the 2018 competition to register in the Faculty of Arts and Science at the University of Toronto (St. George campus). The top three Canadian schools and the top three schools outside of Canada each receive a Certificate of Excellence. New for 2019: Each school coordinator must reset their account password before registering for the 2019 competiton; to do so request a "new password" from the login box. If your school is not in our school directory, a coordinator (teacher) may create a permanent school account. A school account is required for registration; it will also ensure that your school is on our contact list when we announce the next competition. We look forward to your school's participation in the National Biology Competition! The 24th annual University of Toronto National Biology Competition was held at participating schools on Thursday, April 26, 2018. There were 4,809 eligible contestants, from 362 schools: 3,433 contestants from 277 schools within Canada, and 1,376 international contestants from 86 schools outside of Canada. Over 120,000 high school students have participated in the competition since 1995. Congratulations to Albert Cheng (photo above) and Purab Patel (photo below) for placing tied for 1st of 3,433 eligible contestants from 277 schools within Canada in the 2018 competition. Albert, who also placed 1st in the 2017 competition, is in Grade 11 at University of Toronto Schools (Toronto, ON). 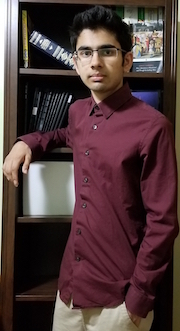 Purab, also in Grade 11, placed tied for 19th in the 2017 competition and attends Marc Garneau Collegiate Institute (Toronto, ON), the Top School in Canada this year in the competition. 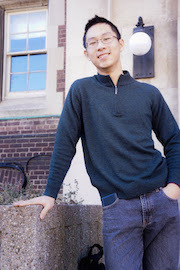 Andrew Ding, from Adlai E. Stevenson High School (Lincolnshire, Illinois), placed 1st of 1,376 international students from 86 participating schools outside of Canada.